levitra use directions vardenafil generico Abruzzo Linda Hopkins closed Les Petites Gourmettes Cooking School on March 1, 2013, after an 18 year run. Linda is excited to find a new adventure. She will continue to teach adults at Les Gourmettes and will continue posting recipes nearly daily here! 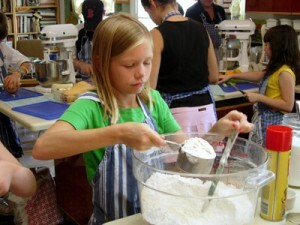 source site Les Petites Gourmettes Children’s Cooking School was created by Linda Hopkins on June 19, 1995 in Scottsdale, Arizona. At that time, Linda had been teaching cooking to adults for over six years and came to realize that there was a great need for a cooking school for “kids only” in the Phoenix area. 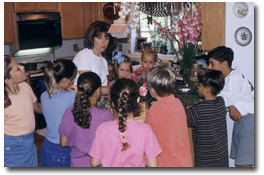 Les Petites Gourmettes was the first and the longest running cooking school for kids in “The Valley of the Sun”. follow link The purpose and focus of Les Petites Gourmettes was to bring fresh food and classic cooking techniques to the forefront for children. Most importantly, to have a great time and to show that there is good and “real” food far above and beyond McDonalds, Pizza Hut, and Taco Bell. source site Les Petites Gourmettes was a “hands on” school. Children, ages 8-18, created a full menu based on various themes each day. The kids cooked the menu and sat in the formal dinning room to enjoy the delicious food. see url Some of the Summer Themes were “International Week”, in which the kids cooked the foods from such countries as France, Italy, China, Mexico, USA, Germany, etc. Another theme was “Holiday” where a full menu was created each day for such holidays as 4th of July, Valentines Day, Mother’s Day, Father’s Day, and Thanksgiving.